Hi Everyone! I was going through many of my old photos as part of my annual decluttering resolution. 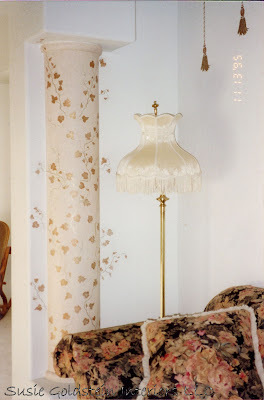 While I was sorting through photos, I came across many pictures of my wall painting I had done when I was living in Las Vegas. I painted a lot of homes and businesses including some model homes while Las Vegas was going through the housing boom. I thought I would share a few. I lost so many of my hundreds of photos when a computer crashed a few years ago and I didn't have them backed up. 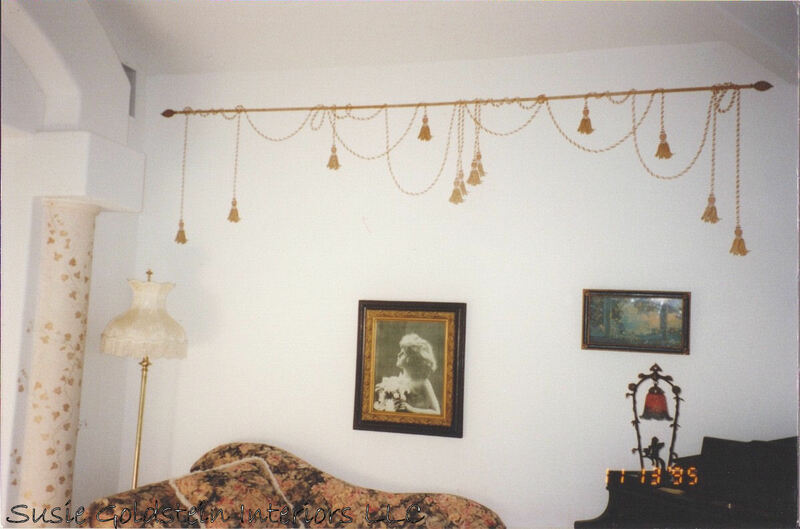 I lost wall painting photos, home staging photos and many photos of when my grown children were young. Now I ALWAYS back up my computer files! 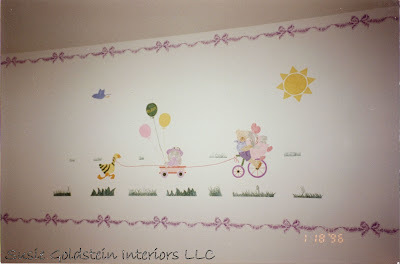 Here are a couple of cute nurseries I had painted. 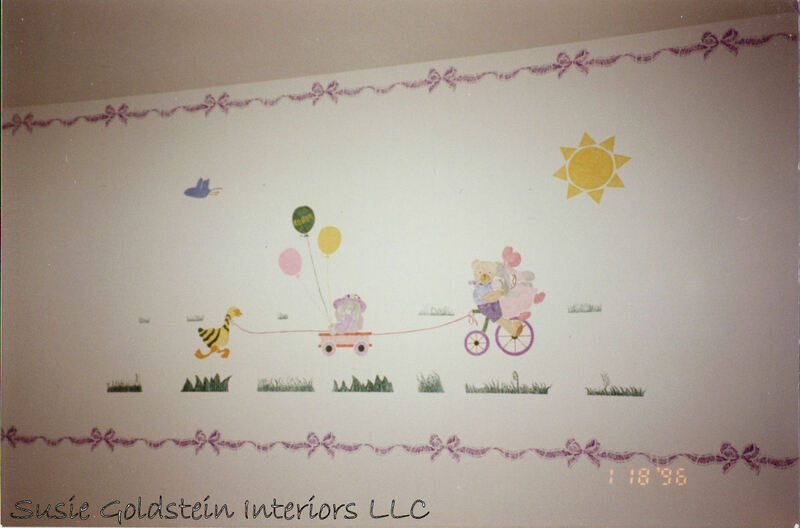 I painted so many children's rooms because I got many referrals from a pediatrician's office that I painted early in my painting career. 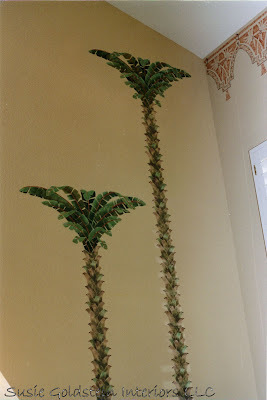 Here is a few snap shots of a dramatic living room I painted with an exotic expedition theme. 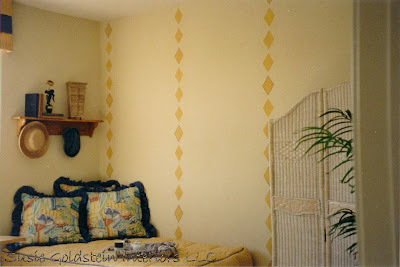 I used the same border in a really beautiful master bedroom in a model home also. It looked fabulous as well and I wish I hadn't lost that photo. I loved these tassels and painted rods. The hand painting on the columns made them stand out as a beautiful feature. The dining room's trey ceiling and niches were also painted with metallic vines to compliment the design in the living room. 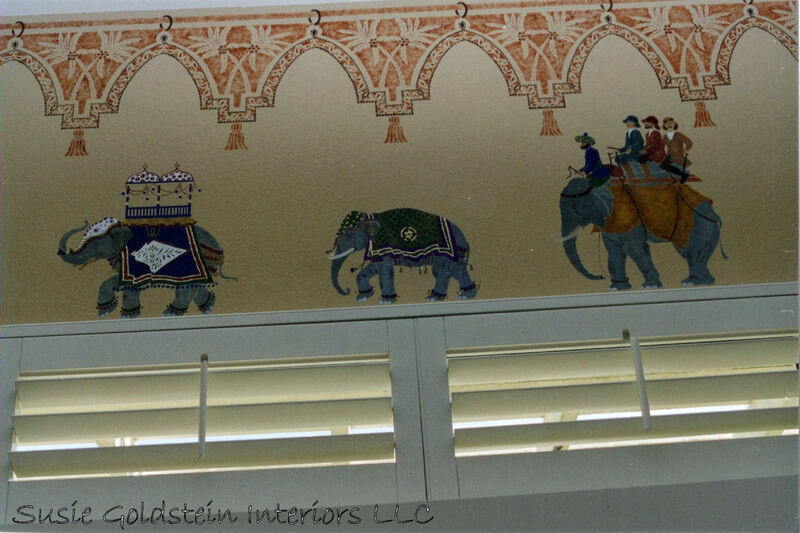 What I liked best about this job was how beautifully the hand painting enhanced the Victorian decor the client loved. Here are a couple photos from a few model homes. I remember painting this master bathroom in the Summerlin part of Las Vegas in 115 degree weather while it was raining. And... there was no air conditioning in the home because the electricity had not been connected yet. Let me assure you that painting model homes is not glamorous work! My husband is a fourth generation painting contractor. His family started a painting business in Chicago in 1927 that is still in existence today. 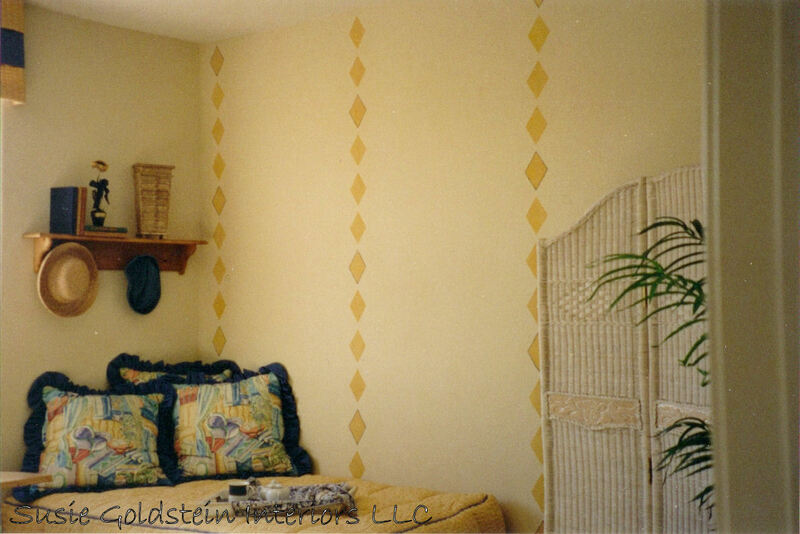 We are now starting our own painting business in the Phoenix, Arizona area named Gold Standard Finishes LLC. In addition to regular interior and exterior residential and commercial painting we will be offering decorative wall painting and faux finishes too. 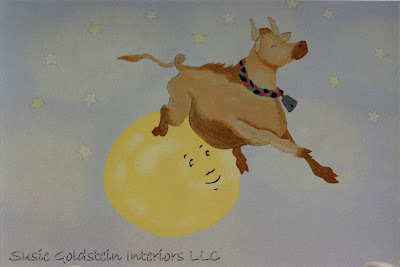 We are unique because most painting contractors do not have an interior designer on staff. 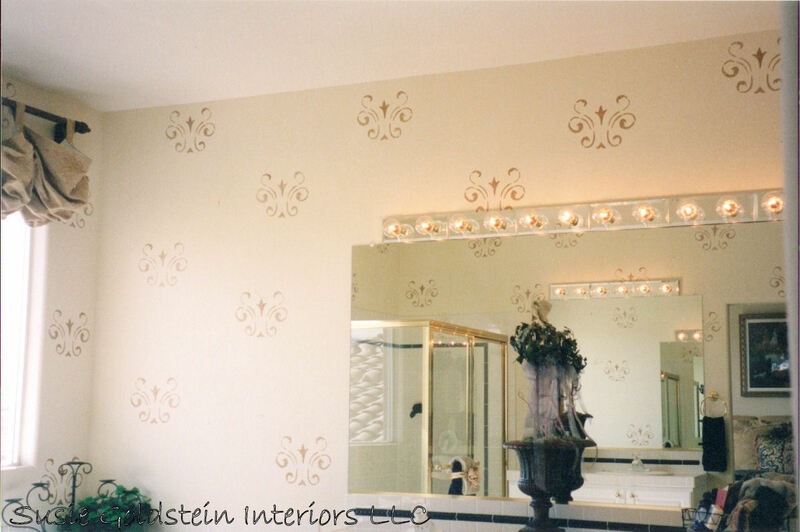 If you would like me to do some decorative paint treatments for your home or business, please contact us. Even if you need just regular painting, I can assist with color consultations as well. Contact me at 480-775-1500. Wow! Great portfolio! God bless you in your painting business! Talented gal! Here's to success for you and your husband's business! You are very talented!!! Great job, thanks for sharing over at the paint party! It is so fun to see all the great colors people use!